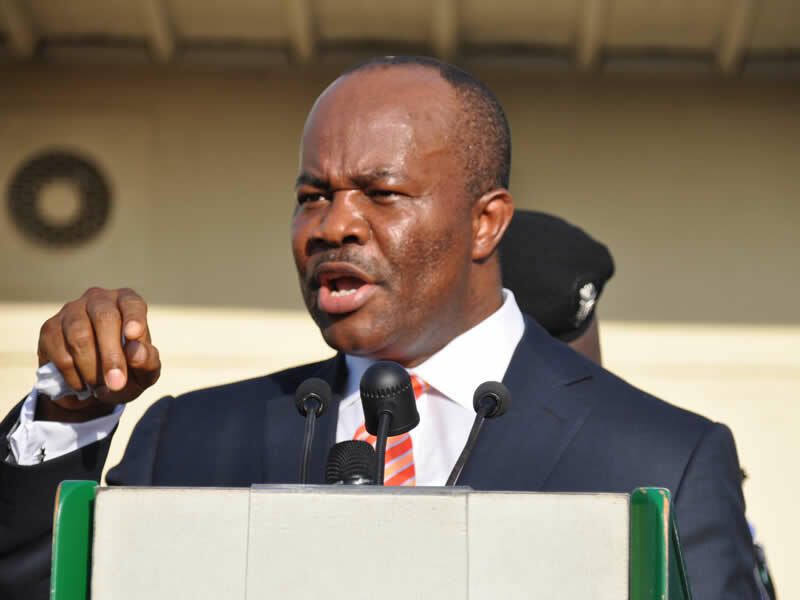 Former Minority Leader of the Senate, Senator Godswill Akpabio, has claimed that since the emergence of Udom Emmanuel as the Governor of Akwa Ibom State, it has been harvest of deaths, stressing that the state would see light again when Obong Nsima Ekere is elected as governor in the March 2 election. Akpabio was speaking at the Akwa Ibom House in Abuja during the endorsement of Obong Nsima Ekere by the Akwa Ibom community in the FCT and the 19 Northern States. According to him, ”instead of going forward, Akwa Ibom state has been going backward and we have witnessed many death in the state since Udom became a governor. ”I could recall the death of a young boy, who died under a high tension because of the state carelessness and till today the family has not been compensated,” he said. He further said, ”in terms of infrastructure, we have gone backwards. No roads have been added to the ones I did. Projects have been abandoned, the Akwa Ibom suffering masses have been abandoned, PDP have nothing to offer Akwa Ibom people. Also speaking, a former Minister of the FCT, John Akpan Udo-Edehe, boasted that with his reconciliation to Akpabio, Udom Emmanuel will have a big problem as he will eventually lose the state.